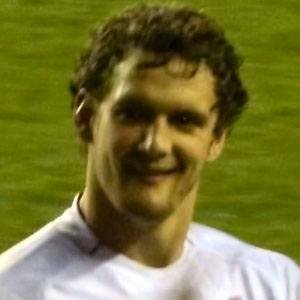 Rugby league player who has been a mainstay at Wigan, with whom he won the Super League Grand Final in 2010. He represented England at the 2013 Rugby World Cup. He got his start playing amateur rugby for Wigan St. Patrick's ARLFC. He was named to the Super League Dream Team four straight years from 2010 to 2013. His father, Keiron, also played rugby for Wigan. He won the 2010 Super League Grand Final with Wigan teammate Sam Tomkins.